Street Scenes Automotive and ScotBrite have teamed up for the Holiday Season to offer our customers huge savings on our detail packages. Use Promo Code 30OffNow by Cyber Monday after Thanksgiving and receieve 15% off our Top Tier Details! 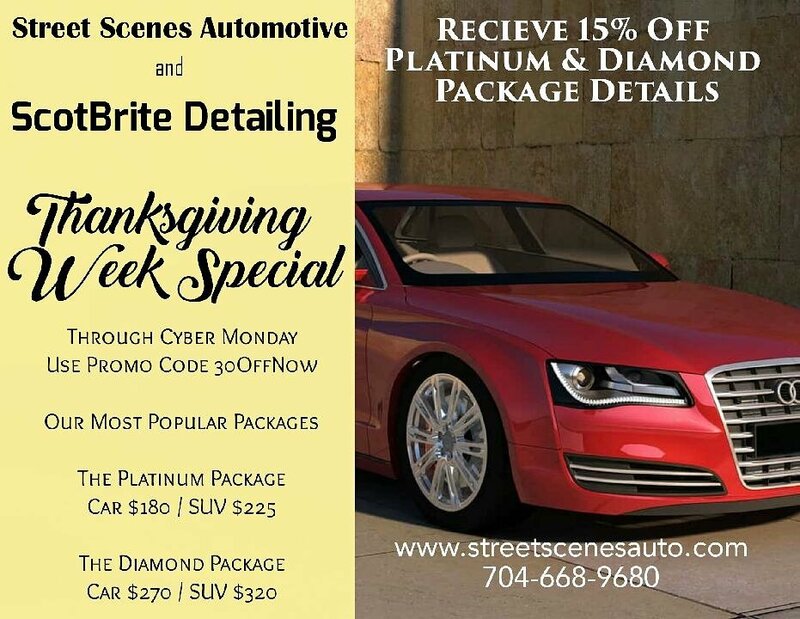 Call us at 704-668-9680, or visit our website at www.streetscenesauto.com to schedule your appointment now!